Minority Councillor Faith BYisrael is calling on Chief Secretary Kelvin Charles and Tobagonians to demand details on the Sandals resort for Tobago. Speaking at a press conference by the Minority Council at James Park, on Tuesday morning, said the deal with Sandals must be transparent, showing what sacrifices Tobagonians would be called on to make, and benefits would come to them. “The people of Tobago deserve to know more about this deal and that is all we are asking for. The Chief Secretary, being the chief advocate for Tobagonians, should be at the forefront of getting this information on behalf of Tobagonians. He must remember he was elected to represent us, he was not elected to represent his part neither was he elected as Chief Secretary for the Prime Minister to tell him ‘sit down’. We are asking him to now stand up and do his job,” she said. 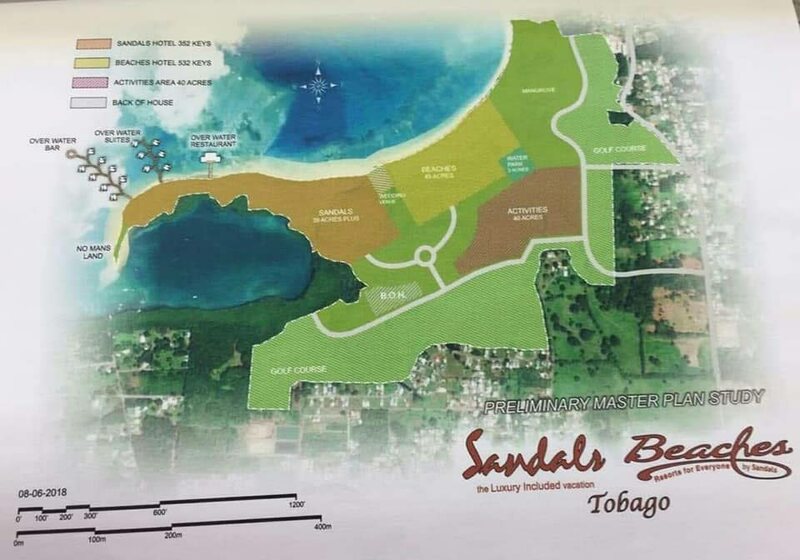 BYisrael also questioned comments made by Sandals Resort International Corporate Services Director Jeremy Jones, that the Tobago resort was expected to be its biggest project, noting that the TT Government has announced that it would be the responsible for funding construction of the 700-room resort. “How is this a Sandals project, considering that the government of Trinidad and Tobago is going to be the one who is spending over $3 billion for this project?” asked BYisreal. B Yisrael also urged Tobagonians to stand with Chartered Surveyor Afra Raymond in his pursuit to get disclosure on details of the agreement between Government and Sandals. “They keep saying we are going to benefit. We don’t know this and we cannot say or agree whether we will benefit or not unless that information is out. We must stand up against this because the same way they came and told us they are going to take 80 acres of our land to build the airport and then shortly after the Prime Minister (Keith Rowley) comes and says he knows nothing about that and he doesn’t know what consultations they were doing. Reply to "BYisrael: Tobagoninas must demand details of Sandals deal"